Spring Water Direct has been successfully delivering to homes and businesses across Dublin for the last 8 years. Having a quality guaranteed water supply in a convenient location will encourage more people to enjoy the benefits of drinking water. Children especially love to use the water machine and in turn will improve their water intake. We have always strived to give prompt and reliable customer service with a quality product. 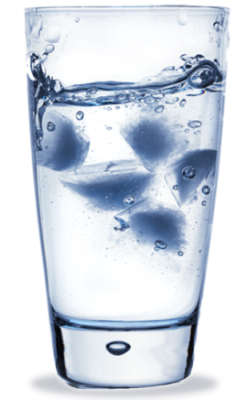 Spring Water Direct offer both domestic and commercial water solutions at a competitive rate. My order arrived in a matter of days! John was very helpful in setting up the machine and answered all of my questions. Often times, water from our kitchen tap is warm and tastes of chemicals, which discourages the staff from drinking it. It’s great having fresh, cold water available in the office at a touch of a button. The machine looks very impressive in our office. Usually water coolers can be an eye sore but the chrome design helps us keep our business looking professional. Not only does the water taste great but the machine is easy to clean and cost effective to run. The machine is a constant reminder to drink more water.